In every team sport, there are always individuals on their respective teams whose performance and importance need to be recognized. The seven major awards of the NFL is the Offensive and Defensive Players of the Year, Comeback Player of the Year, Offensive and Defensive Rookies of the Year, Coach of the Year, and the Most Valuable Player. With just one game left in the NFL season, here is the players and coaches who had the best season. In both these choices, it came down to two players. 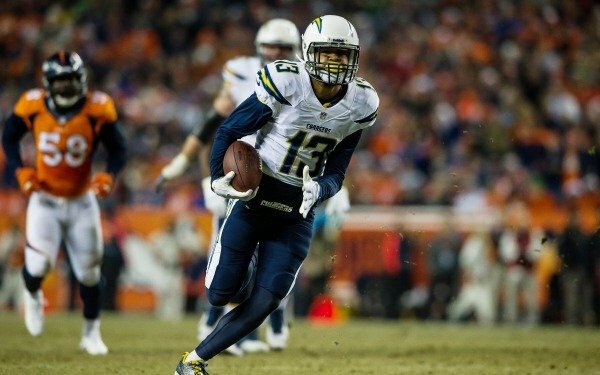 San Diego Chargers Wide Receiver Keenan Allen and Arizona Cardinals safety Tyrann Mathieu both had their own great seasons, and make great arguments for the award. In both cases, the edge fell on Alonso and Lacy because of one word: Valuable (Remember that word, it’ll show up again). Kiko Alonso led the Buffalo Bills to the 2nd ranked rushing defense in the league, while Lacy became the first 1,000 yard rusher for the Packers since 2009. 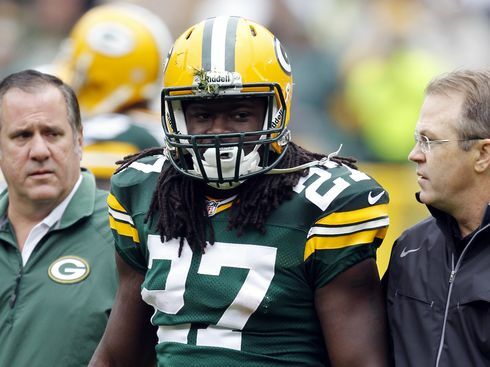 Lacy also became the Packer’s offense when Aaron Rodgers went out with a collarbone injury. Mathieu had a great season (and I pray for a return from his ACL injury), he was just one of the many cogs in a great Arizona defense that includes players like Karlos Dansby, Patrick Peterson, and John Abraham. Even Allen, as much as I believe he deserves it as much as Lacy, is also a cog in the Charger offensive machine. While Lacy’s rushing gave the Packers a more balanced offensive attack. As much as I want to put Philip Rivers, the Comeback Player of the Year should have a player who is coming back from an injury, not just a bad season. Rivers didn’t even have a really bad season in 2012. The only candidate besides Orakpo who met that standard is Buccaneers Cornerback Darrelle Revis. However, Orakpo’s season was more impressive than Revis’ season. Orakpo finished the year with sixty tackles, ten sacks, two fumbles recovered, an interception, and a touchdown. This has been Orakpo’s best year since his rookie year in 2009. Coming back from a torn pectoral muscle, Orakpo has proven he deserves his third trip to Hawaii, and commercials with a British gecko. Do I have to talk about why Peyton Manning won this award? Look at the numbers, and you figure it out. Let’s talk about the hardest decision, picking between Luke Kuechly and Cornerback of the Seattle Seahawks, Richard ” No I’m not talking nor I care about the NFC Championship interview” Sherman. Picking between the two is like picking between your children. On one side, we have a shutdown defender who has led his team to the number one seed, defense, and the Super Bowl. While Kuechly, in his second year in the league, has already passed Patrick Willis, NaVorro Bowman, and Robert Mathis as the best linebacker in the league. It’s picking the best at each position. With the picks being this close, it comes down to a tiebreaker. What player is more valuable to their team? And without hesitation, Kuechly is so much more valuable to the Panthers than Sherman with the Seahawks. If you take Sherman off the Seahawks, that is taking the Eiffel Tower out of Paris. You just lose the best of a great thing. Take Kuechly out of Carolina, this 12-4 team goes down to an 8-8 team. 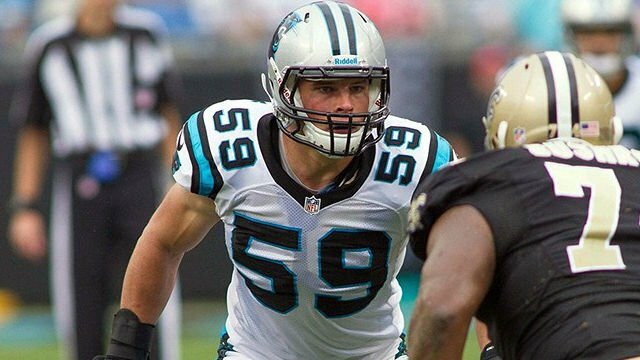 My opinion, Kuechly is the most important player on the Panthers, more than Cam. Here’s why. The Panthers need a dominate defense to win games. In Cam’s first two seasons, Cam was forced to play like Andrew Luck (remember the name), having to throw forty times a game and pass the Panthers to victory. In 2011, the Panthers go 6-10. In 2012, 7-9. This year, 12-4. The only major difference between the years is the emergence of Kuechly and the defense. Living in North Carolina, I’m happy to have a front row seat to watch the best defensive player in the league. Despite Andy Reid being overwhelming favorite in this category, I have to get credit to the hooded one. Why? First, when you look at the Chiefs, they had an overrated season. Besides victories verses the Cowboys in week two, and the Eagles in week three (Nick Foles didn’t play), the rest of the Chiefs’ wins came against teams below .500, while eight of the thirteen Pats wins came against teams at .500 or above. The Chiefs’ 9-0 start was just a mirage. What wasn’t a mirage was the losses to core players in New England like Vince Wilfork, Jerod Mayo, Rob Gronkowski, along with so many others whose loss wasn’t felt as much because of the system of Bill Belicheck. Also that Brady guy (remember that name) had something to do with it, but were focusing on the coach right now. And Belicheck is far and away the best coach in the league. Here’s a funny stat: The New England Patriots entered week one with their five leading receivers from the year before not in the line up. Wes Welker signed with the Broncos, Danny Woodhead signed with the Chargers, Brandon Lloyd was released, Rob Gronkowski was on the IR with a shoulder injury, and Aaron Hernadez signed with the Mean Machines. In week one of the season, Shane Vereen, the multi talented running back, goes down for two months with an injury. I joked this year that the Patriots receiving core was rookie free agents (Aaron Dobson & Kenbrell Thompkins) , and white guys (Julian Edelman, Austin Collie, & Danny Amendola. In Indianapolis, the Colts once again to live by the tradition of relying totally on their number one draft pick to lead them to victory. This year, Luck led the Colts to victory four times when they were down going to the fourth quarter, including the second playoff largest comeback in NFL History, being down twenty-eight before coming back. 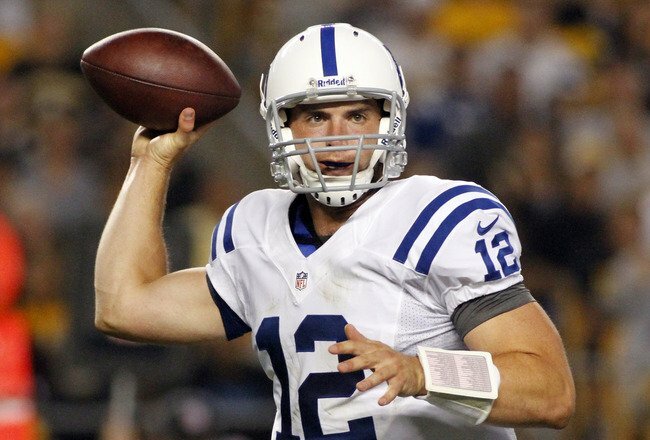 In two seasons, Luck led the Colts to wins ten times when down or tied in the fourth quarter. 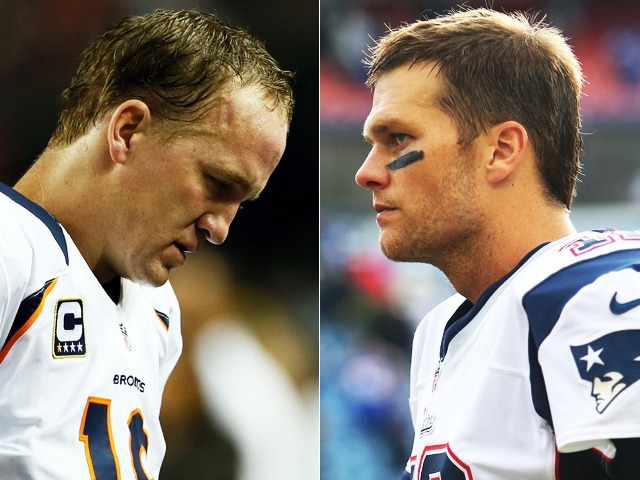 Like Brady, Luck had to deal with harsh injuries to key players. His number one receiver, Reggie Wayne torn his ACL in week seven. Statistically, no quarterback was more reliant on his receiver. In his rookie year, thirty percent of Luck’s passes went to Wayne. By the time he went down, Luck had targeted Wayne 26% of his attempts. Despite this, Luck used to young talent he had, and led the Colts to their first playoff victory since the 2010 AFC Championship Game. Well, I had fun thoroughly annoying you about the MVP. You know, I don’t care. Peyton Manning is the best player in the league, but his value to his team isn’t as great as Luck to the Colts and Brady to the Patriots. Want more proof, Tim Tebow won a playoff game with the Broncos. Peyton is a great player and won my Player of the Year Award, but the MVP is Andrew Luck and Tom Brady.